Home Science Fair Projects Which Gum Brand Lasts the Longest? Chewing gum; while flavor is key when purchasing a pack of gum, another important factor that weighs into decision-making is how long that flavor will last! 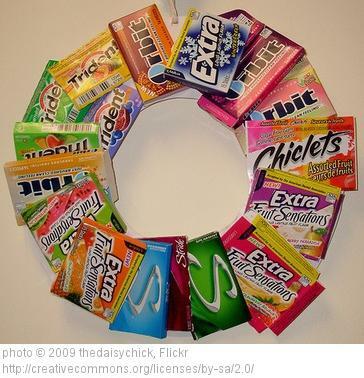 Perfect for upper elementary students interested in physical science, we found a fun project shared by Virginia Lynne that explores which of the popular gum brands is the best buy based on which has the longest-lasting flavor! You'll find lots of inspiration for setting up your own experiment - a step-by-step procedure, an example recording sheet for data collection, sample results, etc. Not to mention, there are several suggested project extensions that you might consider looking in to! Be sure to visit Virginia's site to check out all the details!